Word Processing, Spreadsheets, Graphics, Desktop Publishing and more. Easy Internet & Email our specialty! 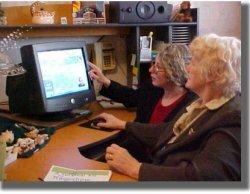 With over 20 years experience in the field of computer instruction, Owner/Operator Anne Marie Feetham is equally at home in workshops, the classroom, offices or private homes. Every course is custom-designed, so you study only what you are interested in learning. Classes are spread out over time, so the student has an opportunity to apply what they have learned - and it's easier on your budget that way! Athena offers instruction in most popular packages: word processing, spreadsheets, graphic software & photo editors, desktop publishing and basic web design. 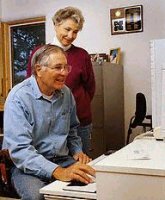 Seniors are the fastest growing segment of users on the internet, and today's software is getting easier to learn all the time. Athena offers a $10.00/hour discount* for all seniors (over 50), as well as to students currently enrolled in a recognized educational institution.